Looking to bring some classic appeal to your home? 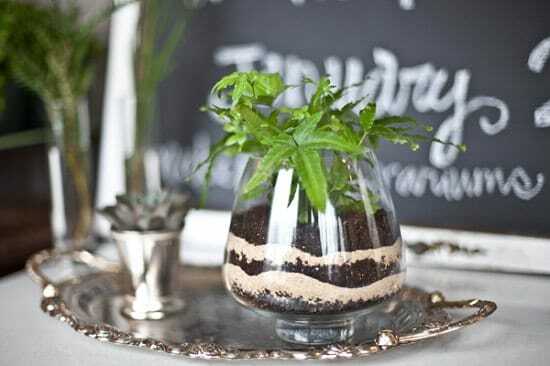 Try these stylish DIY vintage terrarium ideas for a tabletop oasis! 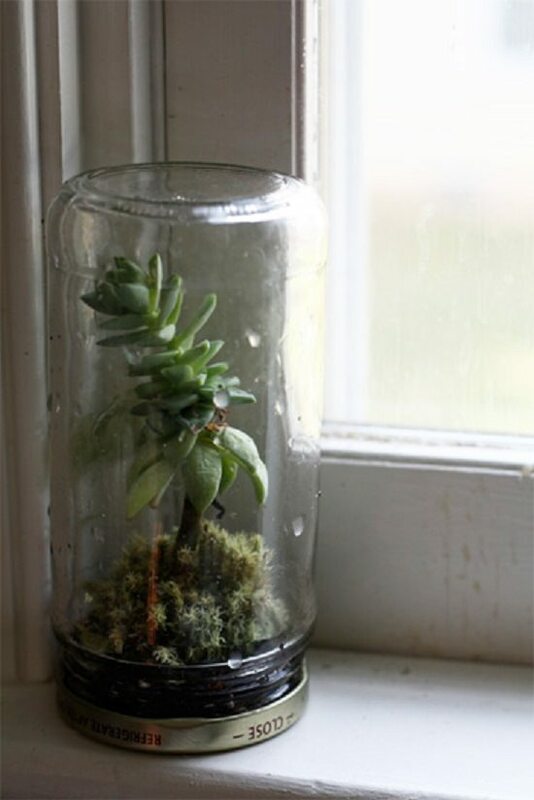 Fill up a vintage mason jar with floral foam and Spanish moss. 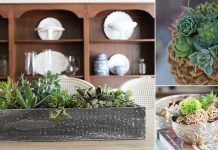 Finish it off by sticking faux succulents in place; you can also use real plants. 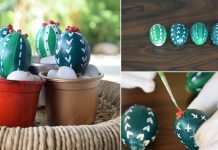 Follow the tutorial at DIY Candy. Follow the tutorial here to convert a simple glass terrarium into a vintage one using lace and burlap. 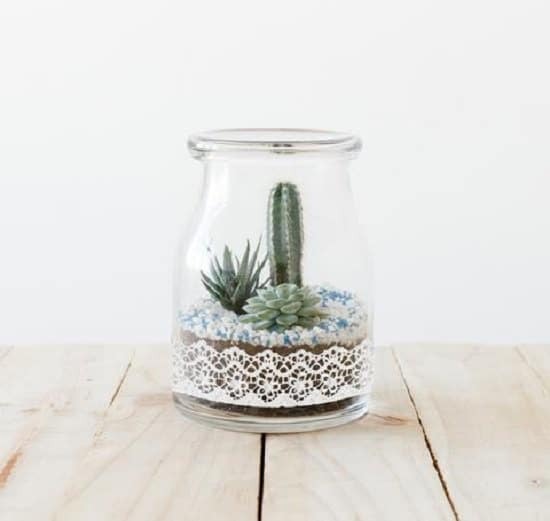 These terrariums add a classic appeal to any tabletop or room decor. 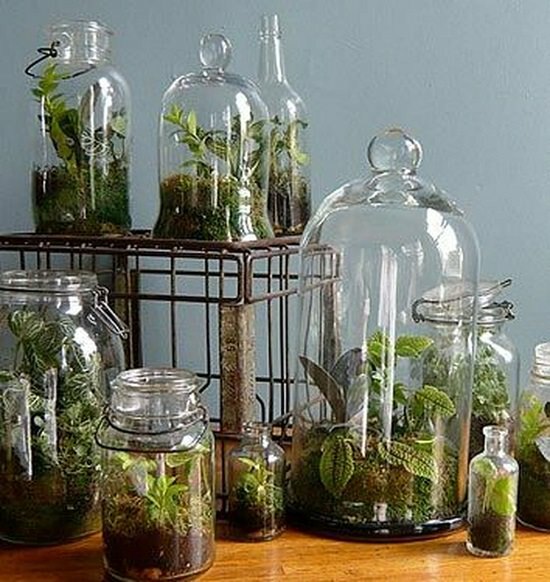 Look how you can combine different plants and glass jars into some stylish and vintage terrariums. You can add any plants depending on your preference. 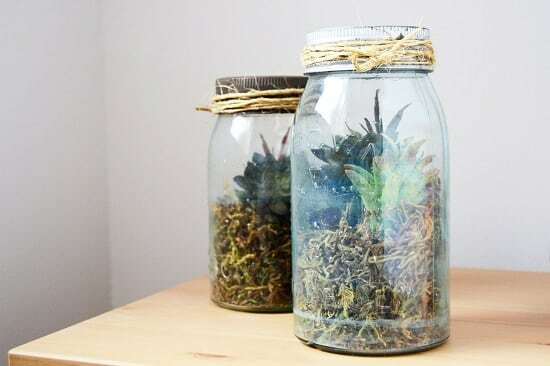 Set up the terrarium onto the lid of a jam glass jar and screw it tightly to the jar. Factory Direct Craft has the tutorial in detail. 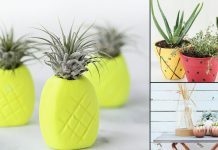 Build a living world inside a glass vase or jar using charcoal, gravel, soil, and plants of your choice. For the instructions, click here. 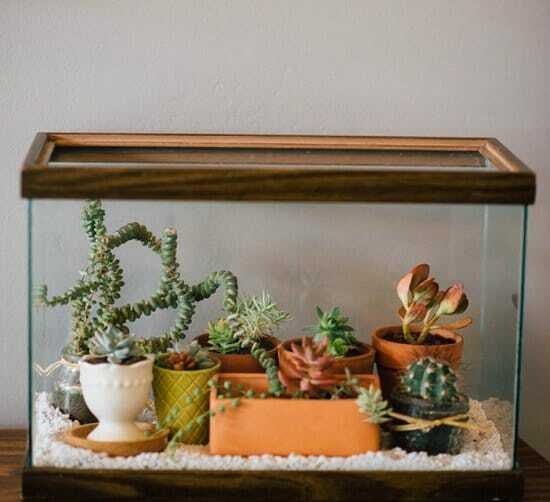 If you have an old fish tank sitting by, consider turning it into a terrarium. Some mini potted plants and gravel are enough to complete it here. 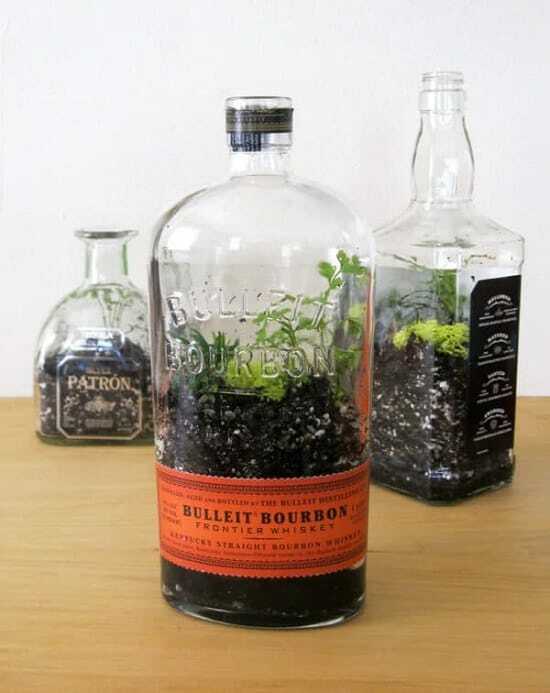 Choose some vintage liquor bottles to upcycle them into a terrarium using soil and plants. We found the idea here.